BES 5.0.4: How to add an administrative user | Basics for Computer Nerds! 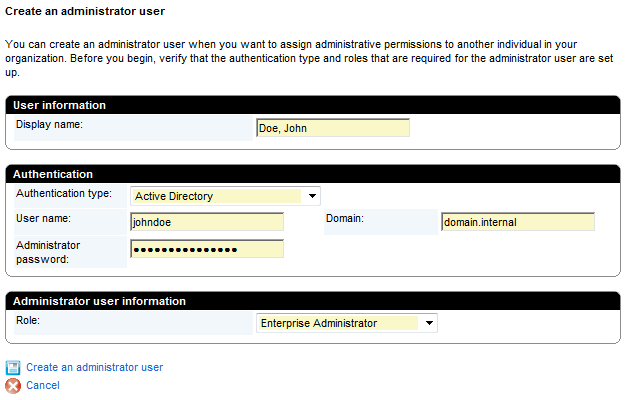 On BES 5.0.4, it is a bit tricky to add an administrative user. 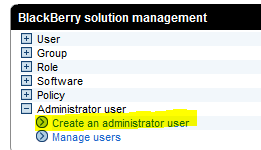 Normal Blackberry users are added under User > Create user, but admin users have to be added from a different menu.